You are currently browsing the category archive for the ‘Planning’ category. Proposed Fanshawe College building at Kingsmills. 08/16/2014 12:25pm UPDATE: I’ve added responses received from councillors to the bottom of this post. 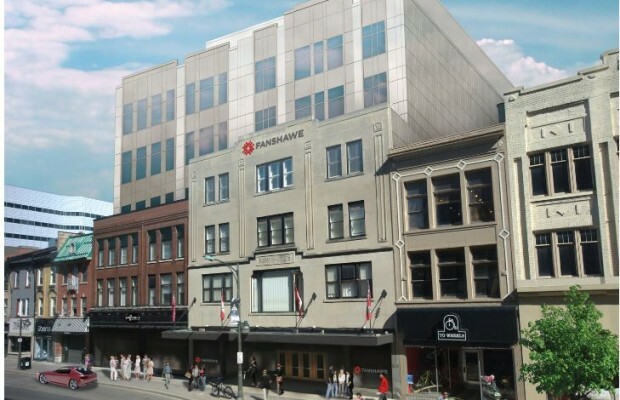 I’ve been following with excitement the Fanshawe College proposal to renovate the historic Kingsmills building downtown into new classroom space for 1,600 students – as a Londoner and alumnus I’m glad to see the rapid expansion of the school. I watched the Fanshawe presentation to the London Advisory Committee on Heritage (LACH) with great interest (in the gallery with Molly, as Sarah is a member of the committee). The committee seemed equally impressed, and felt that the proposal, though extensively renovating and updating the building, took prudent steps to maintain the heritage of the site. A downtown heritage building that is no longer useful is at risk, and this proposal balanced preservation and occupation. It is then with great disappointment that I watched Council vote down the proposed project and request for $10M investment by the city, despite the $66M being paid by Fanshawe to make this happen. I was especially surprised that one of the reasons cited by Joe Swan was concern about preserving the heritage of the building – why have advisory committees if their recommendations are ignored? Did he think LACH didn’t dig deep enough, or did he simply not read the report? Fanshawe’s pitch made it very clear that they would be undertaking hassle and expense to not just preserve but to restore the historic Dundas Street facade. A lot of the issue has been chalked up to an election year – voters are scrutinizing how councillors spend their tax dollars, and with a city that elected Joe “0%” Fontana four years ago, many candidates are probably concerned with being perceived as big spenders. In particular, with Ward 3 Councillor Swan taking a run at the big seat, he is trying to channel a similar “friend of the taxpayer” persona. However, this is foolhardy on two fronts. First, this makes it seem that the money would have to be levied through higher taxes, when there is already money set aside for exactly this kind of project. The city has funds for investment and the economic prosperity of the city – surely investing in one of city’s largest institutions to purchase and reinvest in one of the historic downtown buildings is exactly the purpose of those funds? The only other project on the horizon that could be a contender is the hotly debated Performing Arts Centre, and there are assurances that should such a project go forward, there are ample funds for both projects. 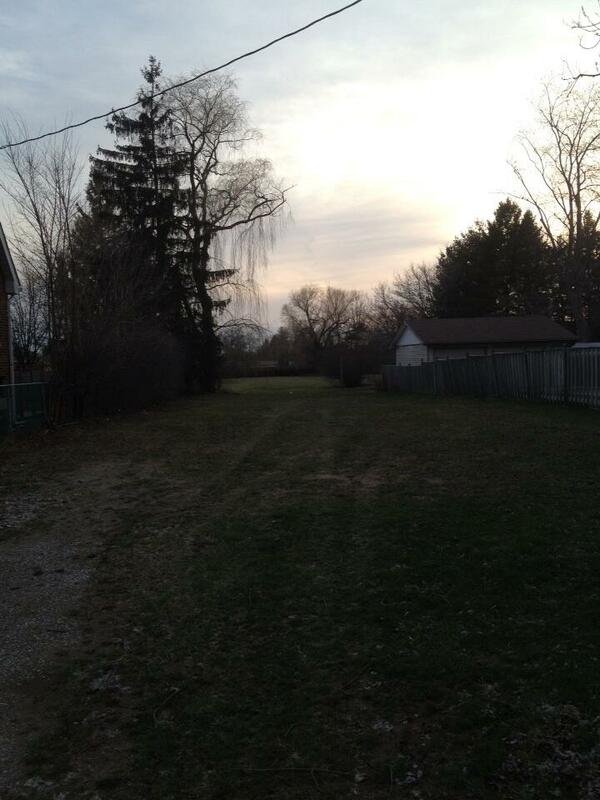 Second, Swan of all councillors should be supporting this project, with the main Fanshawe College campus in his ward. Beyond the massive investment in the downtown core, it gives Fanshawe much-needing breathing room as their attendance continues to climb as they expand their course offerings, and they stretch the limits of the main property. Already they have expanded to a massive new building at Oxford & Third as well as the first phase of downtown development, across from the now-empty Kingsmills building. Investing in Fanshawe brings more students to the city and higher demand for jobs including faculty, and gives Fanshawe space to bring 1,600 new students to Swan’s ward. This is exactly the kind of innovative and progressive vision we need for our city, the kind of vision Swan is evidently lacking. The last vote failed with a tie vote, with Henderson not there – he has indicated had he been there, he would have also voted against the proposal. Those that voted against it were Councillors Bud Polhill, Bill Armstrong, Joe Swan, Stephen Orser, Paul Van Meerbergen, Denise Brown and Sandy White. Today, the London Downtown Business Association has called an emergency meeting to address what can be done, but there is only a faint hope – to reignite the debate at Council it would take 2/3 to vote for a renewed discussion, meaning several councillors would have to change their vote. It may seem a slim chance, but if you think this project is what London needs, please take a few minutes to write to Council to express your views. This is the letter I’ve sent to Council, you’re welcome to use it as a template if it would help frame your thoughts on this important issue. I’m writing today to ask you to reopen the debate on the proposal by Fanshawe College for $10M towards their investment in the now-vacant Kingmills building downtown, and to support the proposal. Accepting this proposal would show excellent leadership and investment in our city by this Council. Fanshawe is putting forward $66M into this project, noting that they could much more easily build a new building on cheaper property, but they are choosing to move downtown and invest heavily in one of the historic storefronts, and teaching their culinary students while opening a new restaurant downtown. As well, LACH and senior city staff including Martin Hayward and John Fleming support this plan – as Councillor Branscombe has noted, whether to support this project seems to be a “no-brainer”. This project will pay massive dividends for our city, and be one of the shining moments of this Council session, should it go through. In particular, I ask Councillors Armstrong and Swan to reconsider their position on this proposal, as this plan will greatly impact their wards. Fanshawe is already stretched to the limits of their existing property even as they are continuing to expand their attendance and course offerings, if this project were to go forward 1,600 students would be admitted to the downtown campus, opening space for 1,600 new students at the main campus. London desperately needs new, innovative minds, every effort should be made to bring more students to the city, and retain them after graduating. Investment downtown creates opportunities all over London. With this proposal, Fanshawe College is showing vision, innovation and leadership. Today I ask that you stand with them, and do the same. Thank you for your time and consideration, please contact me if you’d like to discuss this issue further. UPDATE: Below are the responses I’ve received from Councillors. On behalf of Councillor Russell Monteith, thank you for your email. Your comments and concerns have been noted and will be taken into consideration. I indicated to the Business association that it is my belief that all city council members seek a solution that is good for the entire community and is within the existing City of London budget allocation. The city has committed $20 million to ensure the College locates in the downtown. The College has indicated up to 20 other properties in the downtown that may be available to make their campus a reality without the need for an additional $10 million of local taxpayer support. Those buildings may be a more economical solution, with the same or better economic impact. I indicated this particular property (Kingsmills) was from a construction and facility cost point of view too expensive at $660 per square foot basis, (Fanshawe’s own consultant said the price was “exorbitant” school costs are usually about $350 per sq ft.). 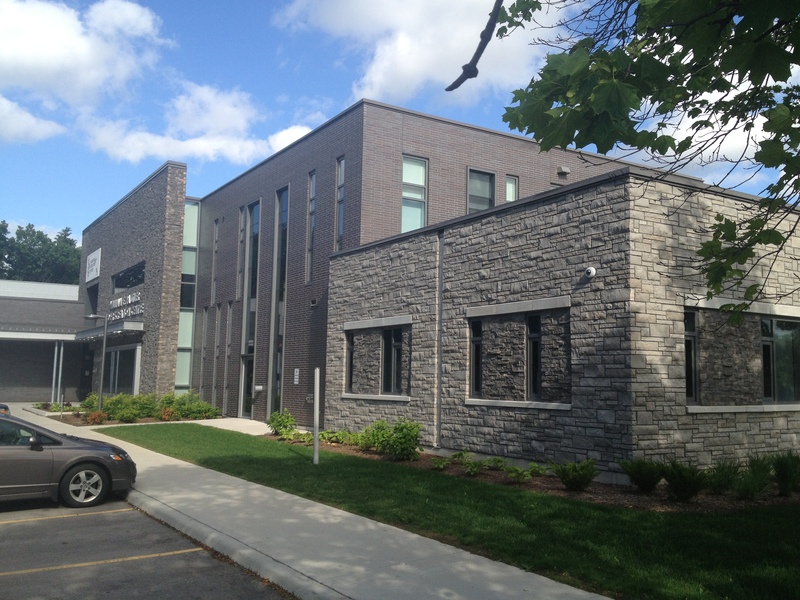 Also the location of the project meant the College would exceed the approved budget allocation of the City. The proposal will also demolish an important heritage property. The project does not have Provincial government financial support, yet it is a Provincial responsibility to fund Colleges. As Chair of the City Investment (IEPC) committee I have been made aware of at least two other private sector owners that have indicated they have viable alternatives that do not require additional city funds. I presume they have not contacted Fanshawe or the downtown association yet as the current plan appears to be an intractable position for the benefit of one property owner. I met with the downtown business association in good faith to suggest how we all might be able to move forward with a plan for Fanshawe downtown. I believe the downtown business association has the mandate and the capacity to take a professional business minded approach to help overcome difficult issues in the interests of all stakeholders. I laid out to the association what I believe is a positive process that would move the project forward. I respectfully suggested I and others would welcome an LDBIA task force to look at all options. The LDBIA task force mandate would engage Fanshawe, the City and the Province and the private sector in a problem solving exercise that would achieve the result we all seek which is a vibrant downtown that welcomes education institutions locating in the downtown at an affordable price. I have been a big supporter of the downtown. The results are clear. I chaired the downtown committee that was recognized internationally as the best in the business. Under my leadership the city committed millions for residential development, public infrastructure, and major destination venues such as the Budweiser Gardens, Covent Garden market and the new library. Much more city investment is on the way with Kilmer, transit, greening the Forks of the Thames and the Dundas flex street to name a few. It is my view that the opportunity to build a positive and affordable plan for Fanshawe in the Downtown remains. The city has allocated $20 million dollars to make the Fanshawe downtown campus project happen. I have done difficult and challenging projects many times. I have done it before and can do it again. The deal with Fanshawe can be done with determined and skilled leadership that gets results. I remain confident the Fanshawe campus will be a reality in the downtown. We have the skills and talent we need in London to take a positive leadership role and get the results we all want. The College and the business association owe it to taxpayers to look at other viable properties and by doing so taxpayers will get the best value and highest rate of impact in the downtown. Thanks for sharing your view about the proposal. Having spent the weekend reading about and considering the proposal and speaking to other councillors, I am still convinced that this proposal would be ideal for Fanshawe, the downtown and the entire city. Since you wrote, the LDBA has pledged $1M from their membership towards the proposal, signalling the downtown business community’s support for this specific project. As well, Councillor Denise Brown in speaking to her constituents has indicated that she would be willing to support a $9M loan to Fanshawe instead of a direct investment – is this something you could also support? I think it would at least be a very positive beginning to have partners in the proposal back to the table. Also, I noticed that the e-mail I received from Councillor White was very similar to the closing lines of your letter, without citing the source. When I asked her about it she told me that you had “shared his information and gave us permission to use what we found helpful”. Was this information shared with all of Council or just certain members? I support Fanshawe downtown and am confident the project will move forward, I do not see the need for the City to add another $10 million dollars and I believe the Province has to step up and help fund the school. That is their responsibility. Further I do not support local taxpayers providing an annual operating subsidy of $150,000 a year to the College every year especially when we have so many local responsibilities to be funded. Thank you for writing. I know you care about doing the right thing for London. Council has done difficult and challenging projects many times. We have done it before and can do it again. The deal with Fanshawe can be done with determined and skilled leadership that gets results. Hi Sandy, thanks for your time and consideration. I am glad that you want to see the plan for Fanshawe to expand their campus downtown go forward. I sat in on the presentation to LACH for the Kingmills building and found it a win-win for the college, downtown and a valued heritage site, but understand the concerns about cost and the money requested of Council. With the news yesterday that the business association has worked hard to put together $1M over 10 years to help pay for this particular proposal, does it change your views on it at all? I think they’re making a clear statement and commitment to bring Fanshawe specifically to the historic Kingmills building. Thanks for your time, all the best. Hi Sandy, I wanted to bring to your attention this e-mail I received yesterday from Councillor Swan, and the similarity in the closing lines to your e-mail to me. Was your response taken from this letter to the downtown business association? If so, you should cite the source. Just wanted to check. Hi Sandy, thanks for the clarification. Was this information shared with all of Council? I agree that the heritage value of the building is extremely important. However, the concerns about the interior will have to be addressed by anyone looking to purchase the Kingsmills property, not just Fanshawe College. From the LACH meeting it was noted that the building is not AODA compliant. To bring it up to code would have to include the installation of a new elevator (the existing Victorian one is not up to code), changing the street entrance including accessible doors and a smoother entryway, to name a few features. 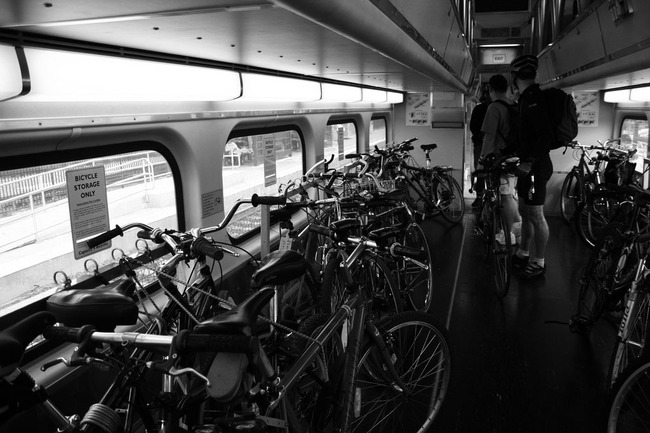 There are also structural/safety issues that will have to be addressed. All of these concerns make the site very difficult to work with, yet Fanshawe has taken great pains to address every concern and bring the building entirely up to code. Finally, Fanshawe in their proposal outline how they will save as much of the interior as possible including incorporating original materials into the design. I feel that it would be difficult to find an applicant more sensitive to the heritage of the site than Fanshawe, and should Fanshawe not purchase the property, it will be difficult to find another applicant willing to face the sizable challenges presented by the site. Thank you for your email Brian. Although I do not represent you directly, I feel every decision such as this one affect the entire city. I am sharing the information below with those who contact me, as I feel the press can be very misleading. Once you have read this information, I would like to hear from you again. 1. May 9, 2011 – council approved 20 Million dollars over 10 years for Fanshawe to come downtown with a result of 1000 students. Today, there are 400 students downtown. For the record, the Province only gave Fanshawe 6 Million and Fanshawe contributed 14 Million. So, the municipality paid 1/2 of the total contribution. 2. Fanshawe publicly said that they would move forward with the 2nd campus, with or without additional municipal funds. 3. Fanshawe requested that council give them another 10 Million dollars to bring it to a total of 30 Million which would bring additional 1000 students downtown. Fanshawe and the press keep referring to 1600 students, but that includes the 600 students that are already part of the 20 Million dollars approved in 2009. The new proposal would see the City now contributing a total of $30 Million dollars, the Province $25 Million Dollars and Fanshawe $27 Million. Question: If Fanshawe already had an extra 13 Miilion dollars, why did they ask for $20 Million originally. Why not $10 Miilion. How much more does Fanshawe have? 4. The London Downtown Business Association has now agreed to contribute 1 Million Dollars to this project. I don’t have the exact figures in front of me, but the request from this group for funding from the City submitted March 2014 was over 1 Million Dollars – from the taxpayers. Question: Where does the 1 Million Dollars they are contributing really come from? Is it the merchants reaching in their own pockets or is it the 1 Million Dollars the city gave them for business improvements? 5. It is to Fanshawe’s benefit to bring as many students in one location as possible. 6. Education is a provincial issue. 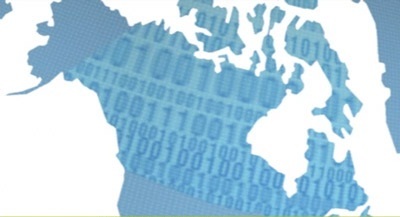 The province downloads on municipalities on a regular basis and we should be careful not to pay for expenses that clearly fall under the Provincial budget. I am speaking to constituents this weekend, and this is the top subject. I appreciate you taking the time to contact me, I look forward to hearing back from you. Hi Denise, thank you for the information you have provided. I will try to address each of the points you raised. 1. Fanshawe currently has 400 students at the new downtown campus, however the facility is still new, and will see expanded use over time. If a brand new facility is at capacity right away, then that facility was built to be too small. Fanshawe have likely left themselves room to grow, and as programs expand there over evenings, weekends, etc we will see more students using that facility. 2. Going ahead with a second campus does not indicate size. Fanshawe could go ahead with a reduced facility that does not meet it’s demand, or allow them to grow. 3. Fanshawe’s ability to raise money is for this project shows their dedication. The additional money they found for this project likely means that something they originally wanted to do will have to wait (that money could have been originally earmarked for something like renovations to main campus, more residences or purchasing property to expand satellite campuses). It is also not prudent to spend everything you have. 4. From the article http://www.am980.ca/2014/08/15/25181/, “The $1 million is a donation from the members of Downtown London, an organization made up of Main Street London and the London Downtown Business Association.” So it seems the business members are contributing their own money towards the project. There may be a misunderstanding about the funding, in speaking to Janette MacDonald of LDBA she told me they don’t receive funding from the city, only approves their budget under the Municipal Act. 5. I agree that it is to Fanshawe’s benefit to bring as many students in one location as possible. Between the facility that has just opened and the proposed building at Kingsmills, it would create a small campus atmosphere in the middle of downtown, including a new restaurant that showcases the skills and training of culinary students. It also brings many more students to the downtown core during the day, allowing them to experience and spend money at the many excellent businesses in the area. 6. I agree that education is a provincial issue, and that we should be careful about shouldering any of the provinces’ financial burden. However, the province, through the college, is contributing millions into this proposal. As well, they could build elsewhere at less cost, but they are showing what I think is admirable vision by proposing to renovate a historic and significant London site. I am concerned that if Fanshawe does not purchase Kingsmills whether another buyer could be found for such a unique site before the building begins to show the signs of neglect that put so many of our vacant heritage buildings at risk. I have had the opportunity of speaking to constituents in my ward, and many do not agree with giving the money to Fanshawe. Some suggested a loan as we already gave them $20 Million. What is your stand on this suggestion? I think this is an interesting suggestion, especially if it could see this project move forward. Brantford has used a similar model, using a combination of direct funding and interest free loans to bring post-secondary education to their downtown. Would you support the city loaning the remaining $9M to Fanshawe? Would it still be $900,000/year for 10 years, with Fanshawe then beginning to pay it back in that time? With the money already available now and the long timeline (2.5 Council sessions from now) does it make sense to propose such a long-term loan? If you were to support it, do you think this proposal would change the minds of other councillors that have voted against the proposal? If this would bring all parties back to the table I think it would be a good idea, especially if it could clear up how the present funds have been/are going to be used. Hopefully an understanding could be made with Fanshawe. With the money the LDBA members are willing to give to the project, it shows that the downtown wants to move forward with this proposal. It is something I can support and it is something that I think other councillors may support. It is worth a try. Thanks Brian. I appreciate you taking the time to email your comments. I will continue to support the project when deliberated on Tue. Aug. 26th. I’ve struggled to complete my series on my experience at Tamarack, as the concluding day tackled deeper issues. These included what a strong community looks like, and how we can each return to our own communities with renewed purpose and energy to make the community visions a reality. As I’ve reflected on community and what we can each do to grow a vibrant and caring city, two major developments passed the city’s planning committee, despite the protestations of both planning staff and many concerned citizens. The mayor has touted the construction developments in environmentally significant areas as a major win for our city because of the potential 1,200 jobs they will bring. This is against concerns that this growth further spreads the sprawl already too typical of London, the fact that the jobs would be mostly minimum wage jobs to multinational corporations not invested in the best interests of our communities, and that it would draw opportunities away from neighbourhoods across our city that are already struggling. I was motivated to write this letter after reading Shawn Adamsson’s letter to Council expressing his concerns about the direction these developments will take our city. Please consider writing a letter to Council (wards and contact information available here). The more people who are sharing their thoughts and opinions on important civic issues, the stronger our city becomes. Please feel free to use this letter as a template if it helps to express your thoughts on this issue. I believe the two developments approved by the planning committee this week are the wrong direction for our city for several reasons. As a student of urban planning and a participant in the highly successful ReThink London process, I’m concerned that these proposed developments are contrary to the public will and the wisdom of the city’s planning staff. The recently published ReThink London discussion papers and specifically the paper Creating a Mixed Use, Compact City demonstrate the public will to utilize our existing lands more efficiently and creatively, instead of the further hollowing of the core these developments would represent. If Council opts to ignore these massive citizen engagement initiatives, to ignore the advice of their paid professionals and instead to side with furthering urban sprawl for very little net job gain for our city, we risk further disenfranchising and losing valuable London citizens. As a member of the Argyle Community Association board and a member of the city-led Strengthening Neighbourhoods Argyle initiative, I am very concerned about the impact these proposed developments will have on our community. Strengthening Argyle has worked diligently to survey the community to understand their priorities, with the ultimate goal of creating a vision statement and action plan for citizens to see their desires realized. One of the underlining goals for the community is jobs, especially jobs that provide a living wage that allows Argyle citizens to live comfortably and be contributing members of the community. I am deeply concerned that these jobs will do very little to provide new net jobs to our city, and only further drain opportunities from communities already struggling. I recently had the opportunity as a member of Strengthening Argyle to join the Tamarack Institute gathering on neighbourhoods and communities in Kitchener with many City of London employees. One of the key features of the gathering was walkabouts in Kitchener, Waterloo and Cambridge communities to hear their success stories. 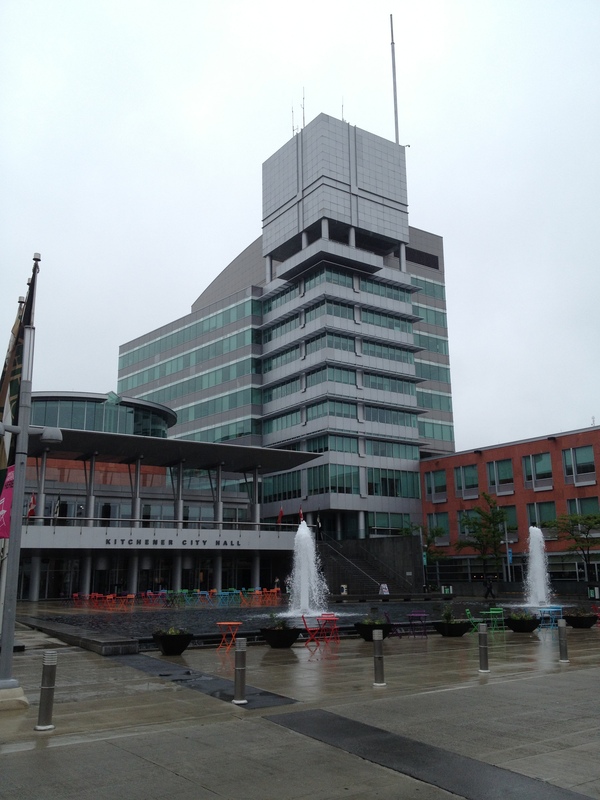 One of the walks we were able to take was to see downtown Kitchener, featured as “The Revitalization of an Urban Core”. In it we saw many repurposed buildings (most notably the extremely successful Tannery District) and infill developments, making the most of existing sites. The planning staff that guided the tour noted that these kinds of projects help save the city money by slowing the need for expansion, reducing strain on public utilities and infrastructure. As a previous employee of London Hydro working in the engineering office (2010-2011) and as a current contractor to hydro utilities, I see first-hand the costs of expanding developments into unserviced areas. 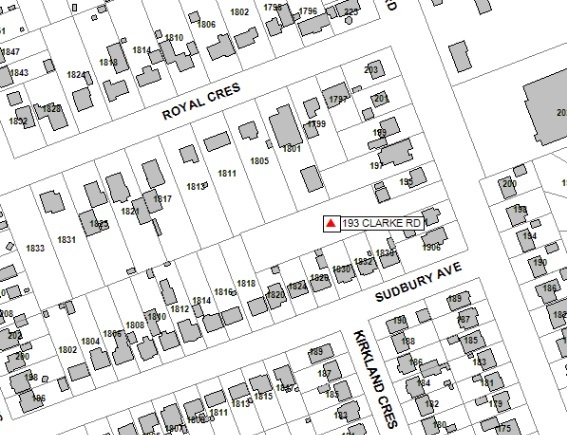 On top of the massive environmental impact of clearing and developing an environmentally significant woodlot and wetland, the city needs to consider the burden servicing these developments will have on the citizens and infrastructure of London. As a family that depends on public transportation to get around the city, we are concerned that these developments would either be unserviced by the LTC and therefore costly to reach (especially by the minimum wage employees of that site), or by being serviced by the LTC, would further strain an already over capacity and underfunded public service. 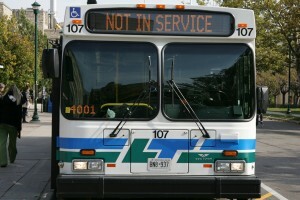 There are many routes in the urban core that are unable to deliver sufficient seats to people that depend on transit (including students who pay for a bus pass as part of their tuition), and the LTC hopes to keep up with neighbouring cities by introducing express bus service. Furthering our urban sprawl will sacrifice these kinds of ambitious projects, and put us further behind the kinds of innovative communities we must compete with for our post-secondary grads. As we struggle with 9.8% unemployment and the continued drain of our younger generation, these new developments may seem like big gains for our city. However, the generations of young educated professionals we want to keep value the environment, value having efficient public transportation, and recognize that a city with long strips of vacant commercial space (like the Pond Mills area, or McCormick area) already being serviced is short sighted to abandon that neighbourhood to decay for the sake of the appearance of progress (shovels in the corn fields). After the morning discussion, we broke into workshops to start the afternoon. 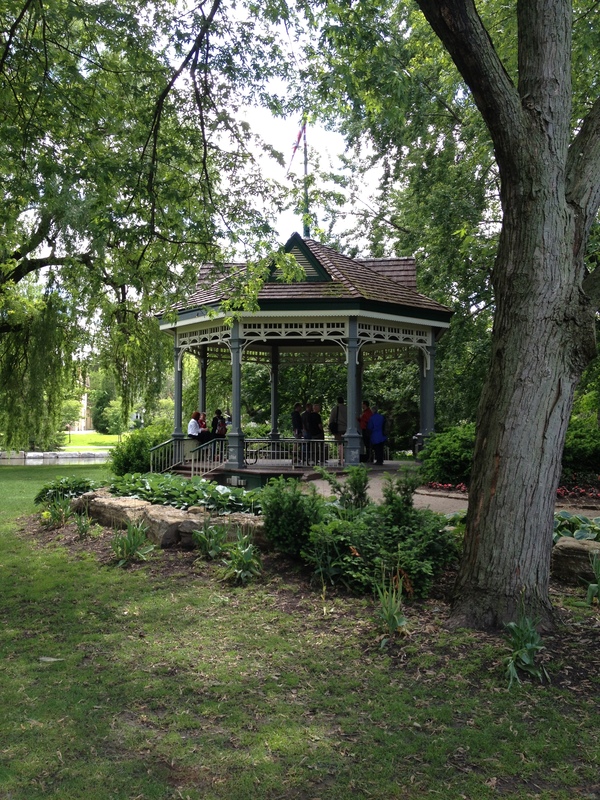 I joined one called “Social Capitol and Neighbourhoods” at the Victoria Park gazebo hosted by Milton Friesen, who is completing a Ph.D. at the University Of Waterloo School Of Planning. Milton’s discussion centred on the research he is doing, including understanding how people move in their environment, and how this data can help us to appreciate how connected a community is and estimating social isolation in the community. Part of his research includes subjects being voluntarily tracked with a small GPS device (currently being invented by Milton) that would simply log their location every 15 seconds or so, for one week (the data would be entirely geospatial, without any personal information attached). In theory, with enough willing participants chosen by random sample in a community, the community could be “mapped” by seeing where people tend to congregate and when, how far they travel on average from home to work, etc. I found his study very interesting, partially because it reminded me of research I worked on as part of my undergraduate degree, “Estimating Population: A Case Study”. The research I did (lead by my GIS professor Martin Healy) investigated how people can move through their environment in London, based on the case study of the outdoor pools across the city and how accessible they are to the local population around them. 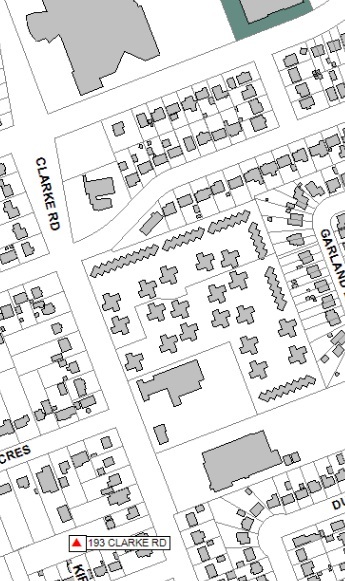 My study used paths (walkways, sidewalks, roads) in the GIS to estimate how people can access the pools, but this data would allow the researcher to see how people really move in their environment, and as more communities were studied, start to develop a stronger understanding of trends, and to be able to spot communities that are more or less connected. At least, in theory. Very soon, we walked from the gazebo back to the pavilion to take one of the school buses to communities in Waterloo and Cambridge for our second walkabout. I chose to visit a community called “Lang’s Farm Village” and their village association, drawn to the prospect of talking to another community association and seeing what they’re doing. Not knowing what to expect, I found myself in a Cambridge community started in the late 60’s-early 70’s. We were greeted by a harsh looking neighbourhood, and a very friendly community leader, Bill Davidson. Bill briefly told us the story of Lang’s, a community built on what had been farmland, replacing the arable soil with many brutalist high rise apartments and town house complexes. He described the community as one of big problems and big hearts, where social issues such as high drug use, pregnancy and school drop out rates are seen as opportunities. The community has pulled together against tough odds, and is flourishing. He took us quickly through the community association building (what started as the unit of a townhouse, but soon spilled into an additional portable unit because of the need and the desire to work there), which has evolved into a youth and teen centre, which includes daycare and afterschool programs, cooking and fitness classes. As we left the townhouse, Bill grinned and said, “we’re very proud of everything happening here…this isn’t what we brought you to see, though.” Some others from the group who were more familiar with the region seemed to guess where we were going, but I followed the group down the street, not knowing what was coming next. I certainly wasn’t prepared for what I’d find as I turned the corner. 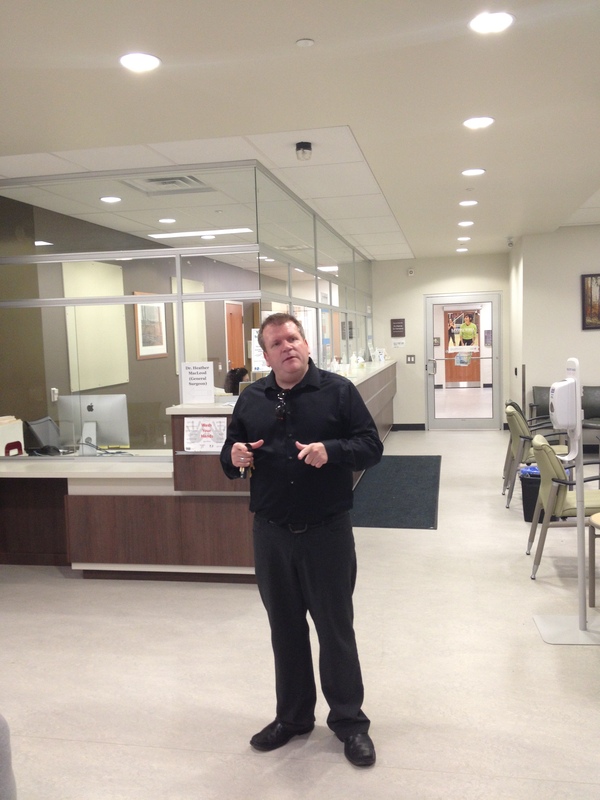 Bill beamed and welcomed us to Lang’s, the community health & wellness centre built in 2010. This project was a joint venture from all three levels of government, creating a regional centre, but built primarily for the immediate community of Lang’s Farm Village. 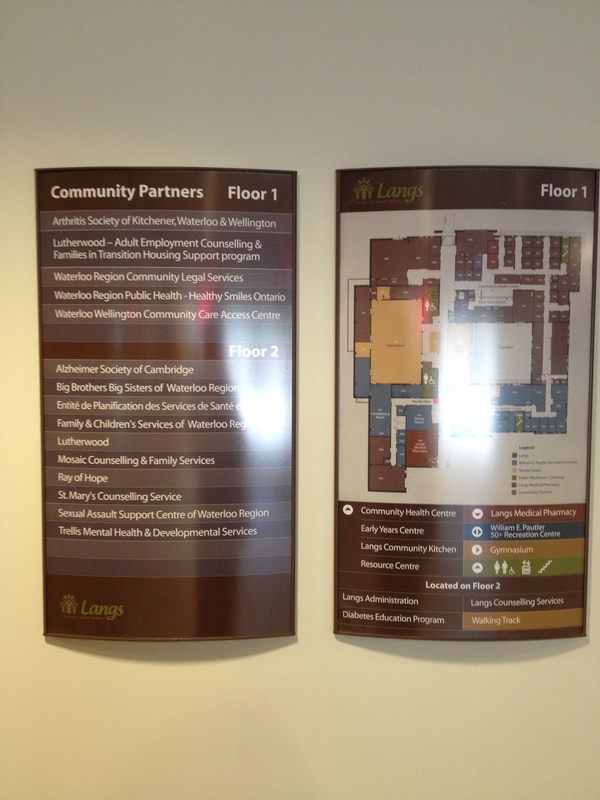 At the front entrance is a map and list of all the community partners. In this one centre, the community has a multitude of different services, workshops and facilities available to them. Many of the speakers at the gathering had been talking about “breaking down walls” and “connecting communities”, but I hadn’t envisioned something quite like this. The community was instrumental in every aspect of the centre, from pushing since the 80’s to have an integrated place where all needs of the community and region could be met, to consulting on the design and choosing who would occupy the space. This even includes the interview process – when selecting professionals that will work in the centre, the community is welcomed to meet the applicants and help choose the person they want serving them! 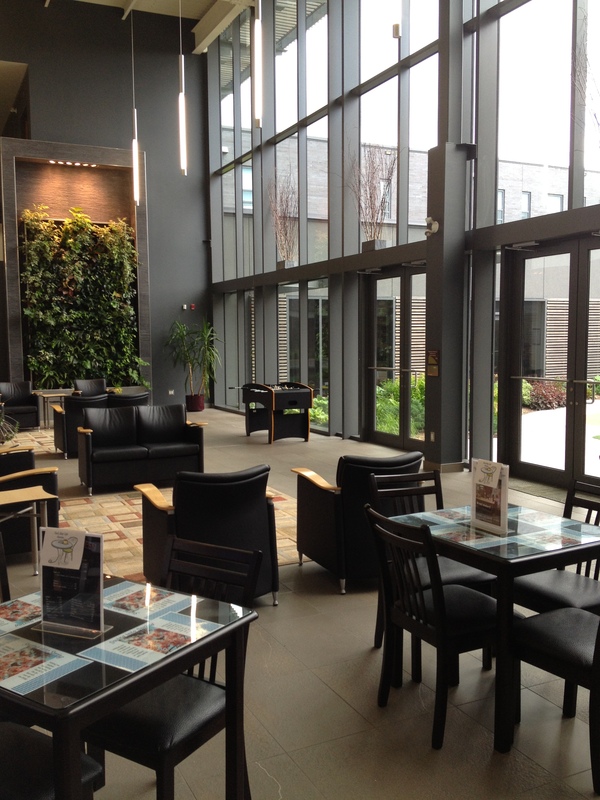 This is the main space that greets visitors, with seating in front of floor-to-ceiling windows, a large reception/help area and entrance to various wings of the building. 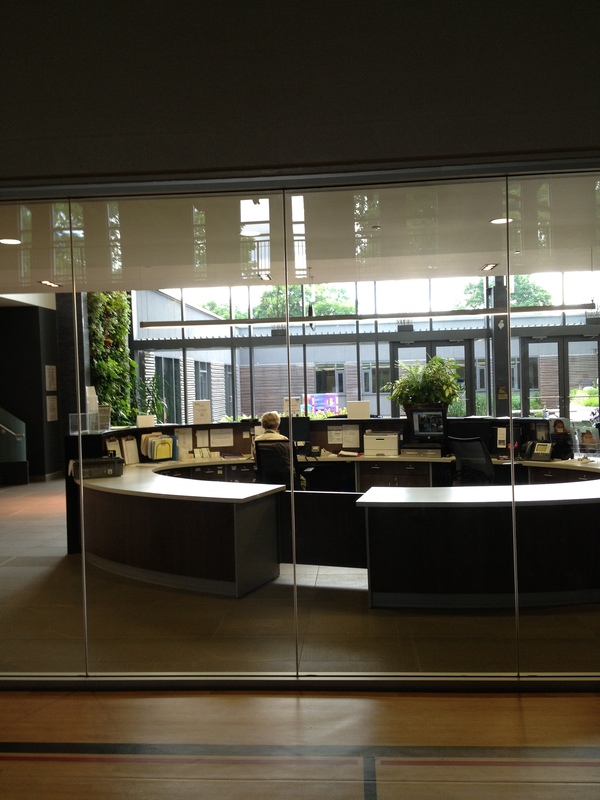 Behind the reception area is a large gymnasium, with windows looking out into the reception area. 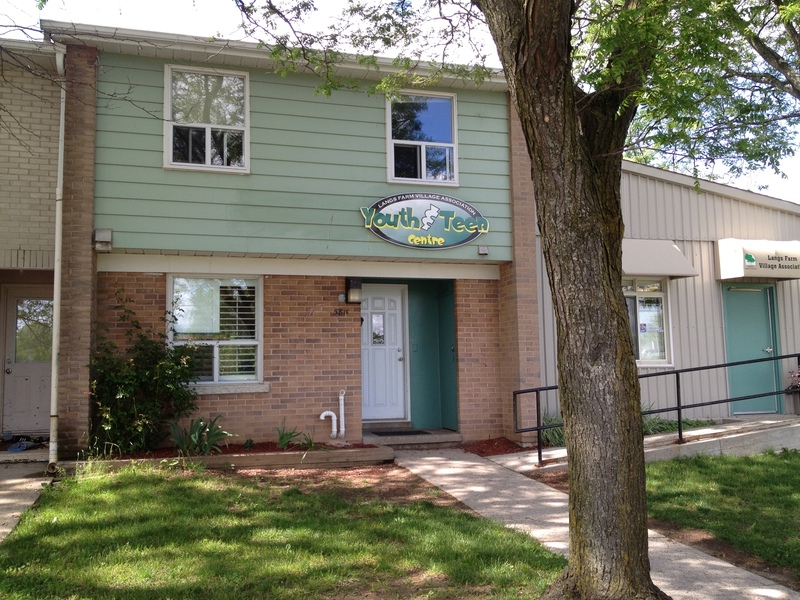 Bill impressed on us that the centre works to support health and wellness in the community, from teaching fitness and recreation activities, supplying many different medical offices, to various forms of counselling and support. This is Bill telling us about all the medical offices in the building. Many of the practitioners in the centre are there on rotation from other offices, but they also have dedicated staff. Many of the people that have come through their doors have never been to a doctor or a dentist before, but now they see one regularly, as well as having access to specialized care such as chiropractic and massage therapy. 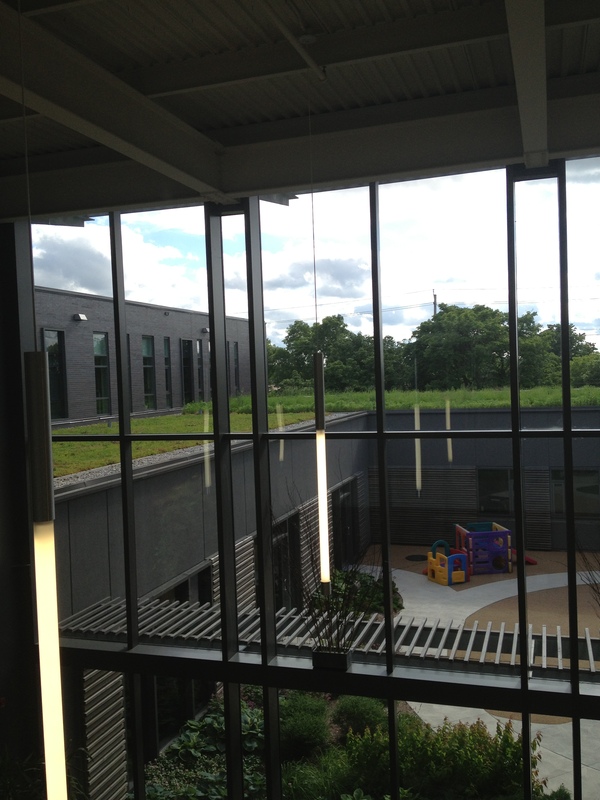 The centre was built with many green features to keep the maintenance and energy costs down, including a green roof. 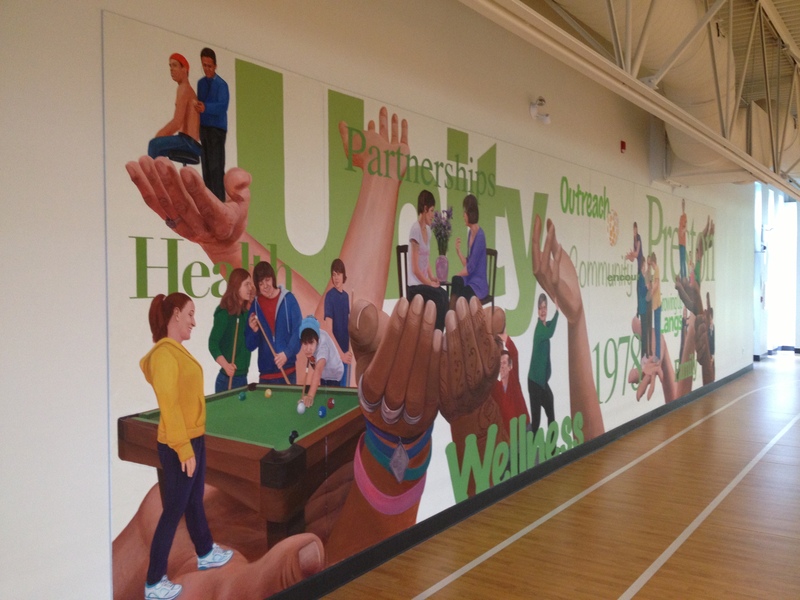 A mural above the gym was designed by the youth of the community, and created with them by a team of graphic designers working in the community that continue to mentor aspiring artists. After a whirlwind tour of the community centre, we were back on the bus to Kitchener. We were invited to return to the pavilion in the evening for lively line dancing. I lingered with a group of others from the conference over dinner and beer and ended up getting to the pavilion just as things were winding down…so we went over to the Victoria Park Boathouse instead. Not a bad way to end the day! I’m so grateful to have been a part of the Tamarack Institute’s gathering in Kitchener last week on neighbourhoods and community building. Each day was packed with excellent talks, small group discussions and walks around the surrounding communities. The only problem from the events is that there was so much to take in that it left me somewhat struggling to find the most pertinent points to take away and share. It was amazing to join a national conversation with community leaders from across Canada and the States, but it can make it difficult to take everything shared and apply it to our city and Argyle community. One of the messages that stuck with me through the entire gathering was one introduced near the start by John McKnight about gifts. His challenge was for us to turn to someone near us that we didn’t know and simply ask them, “What are your gifts?” I and many others were flabbergasted, this is not something I’ve ever really, deeply considered before…plus it was 8:30am after waking at 5:30am to drive there. Not the perfect time to be considering who we are and what we have to offer. But conversations got rolling, and when John asked the audience what their answers were, they came back, numerous and varied. His challenge was to ask this question often, when we gather with colleagues and community members, but even when we’re with friends and family. It can be tough to answer, but quickly reveals we all have a lot to offer. We are repositories of experience and expertise. I found this an excellent reminder, as I sometimes struggle to find ways I may be helpful, and have heard many members of our communities I’ve spoken to say things like “I’d like to help/be active in the community, but there’s nothing I’d be good at.” John’s message was: when we can unlock and encourage all the gifts in our communities, only then are they truly strong. Communities can be served by the city and civil services, but when citizens are recognizing and using their gifts, that’s when great communities are truly shaped. The big question is how is this achieved? The talks were excellent, but left us with a lot of questions. The power of the talks we heard may have been in igniting or reigniting our passion for community building, and helping us recognize the potential every community has. The greater challenge ahead will be turning that passion into actions and decisions. After the small group discussions we had the chance to go on one of four walks through communities being showcased. I chose to take the walk through Kitchener’s downtown. I’m always interested to see what other cities are doing with their downtown spaces, and I wanted to better understand London’s downtown community and learn ways that it may be further improved. We walked through Victoria Park and checked out two co-working spaces, TreeHaus and the Tannery District (pictured below), finishing by examining the streetscape along King Street including in front of City Hall. The impression I’m getting is a downtown core very similar to London’s, in that until very recently it had a rough reputation, one that it continues to overcome. One of the strategies shared on the walk was the changes city planning staff have implemented in the way people move through the downtown. I was deeply impressed by how some of the leaders in the planning department had researched and visited cities around the world that are showing leadership in creating truly walkable, environmentally friendly, safe communities. The vision the staff has for downtown Kitchener is something along the lines of Nice (France) where a vibrant street market happens all day long, ranging from fresh flowers in the morning, fresh produce in the afternoon, and a lively restaurant and bar scene in the evening. Green planters. 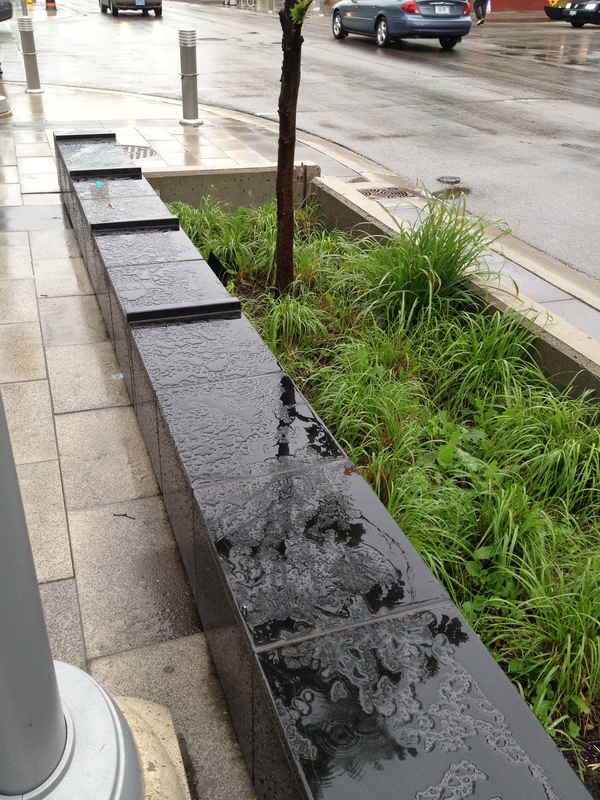 These planters look similar to those found all over our cities, but the downtown stormwater drains have been engineered to flow into the planters instead of into the sewer system, reducing impact on downtown infrastructure and making use of the water to feed the plants, reducing city labour and upkeep costs. The planters are filled with local, salt-resistant plants that are both attractive and able to thrive in the water coming from the streets. 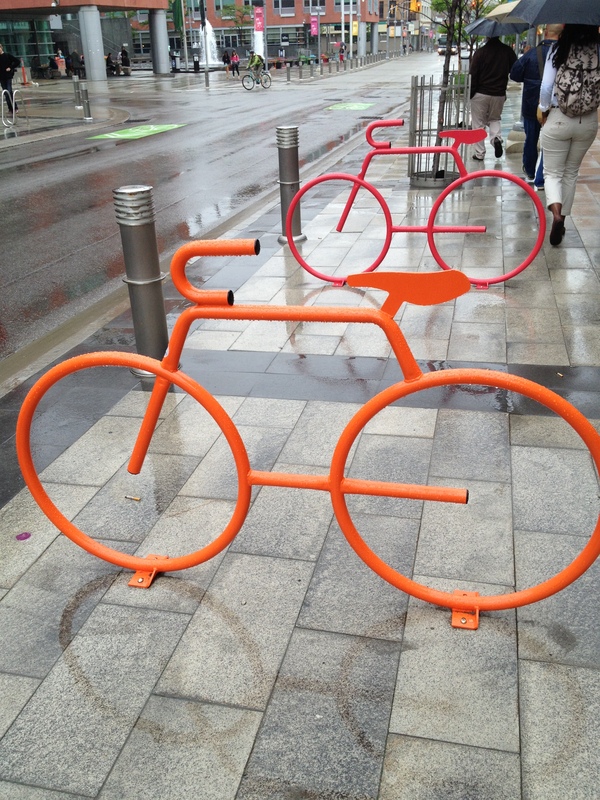 Great bike racks, adding to the overall attractiveness and interest on the street. 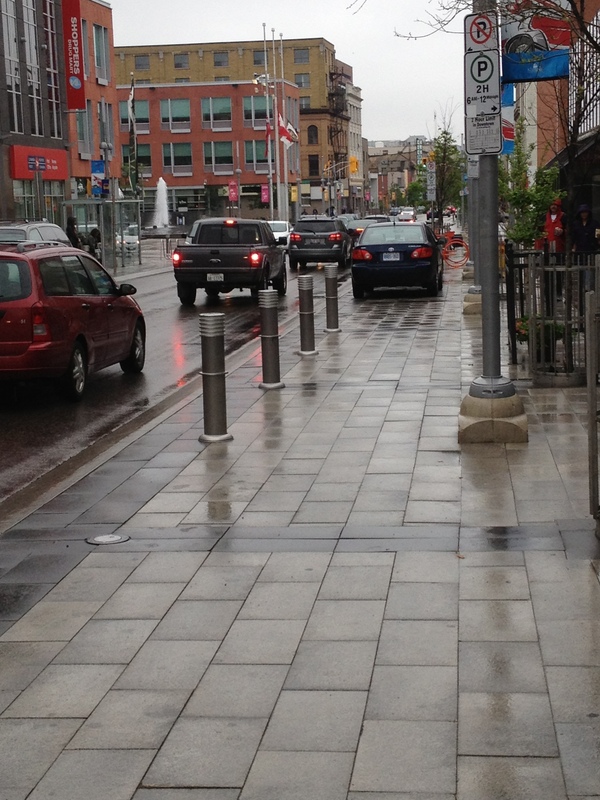 Moveable bollards that allow the city to adjust the parking and patio space along the downtown core. In this picture, there is both space allowed for parking where the bollards are against the sidewalk (background) and space where the bollards are against the road, making more room for walkers and/or patios (foreground). I may also have a serious case of City Hall envy. 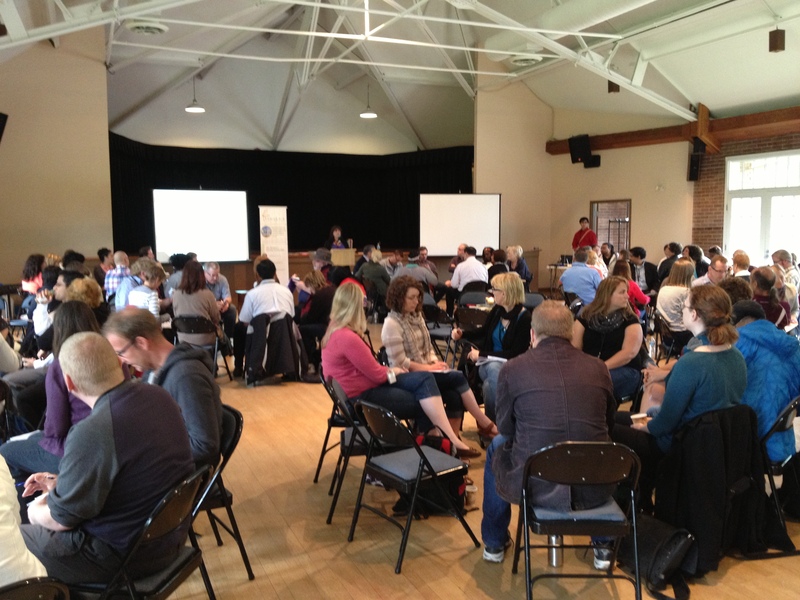 Last week I joined city employees, service providers and other citizens/community association members at a 3-day event hosted by the Tamarack Institute in Kitchener called Neighbours, focused on the power of neighbourhoods and citizens in creating community. 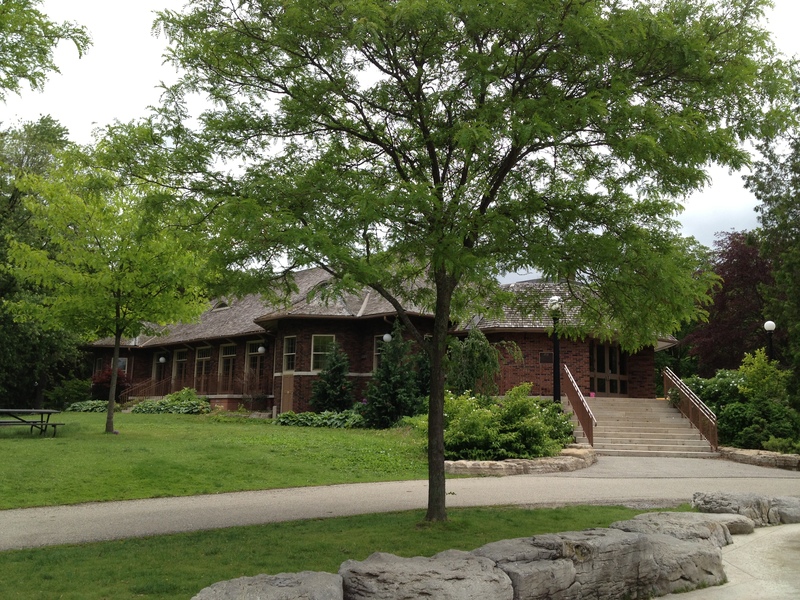 The event was hosted at the Pavilion in Kitchener’s Victoria Park. 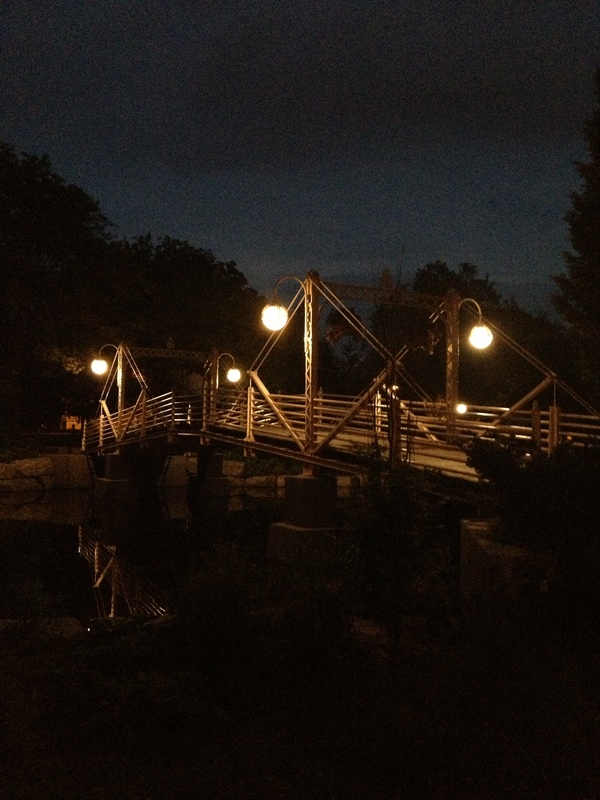 This was the first time I had spent much time in Kitchener, and was amazed at everything I saw there. Though the event was framed around the Institute’s typical conference format, the gathering was the first time that they had brought people together in a park. The Pavilion was a beautiful space, and being in the park gave us many places (including picnic shelters, a large gazebo, and the Boat House bar) to meet together for small group discussion. Each day we met in the morning for opening thoughts from one of the Tamarack leaders, followed by discussions in small group “pods” that were a blend of citizens, city and public sector employees, before listening and sharing thoughts in a discussion lead by the leaders. Each afternoon was concurrent workshops on varied topics followed by walkabouts in different communities in Kitchener, Waterloo and Cambridge reached either by walking or school buses. I found the discussion very interesting and illuminating as we dug into what community means for everyone at the gathering and how we can build stronger communities across the country and the world, but I found the walkabouts especially valuable as we examined what the region has been doing to build and grow. On the first day I chose to join the downtown Kitchener walkabout, exploring how the city has revitalized the urban core. 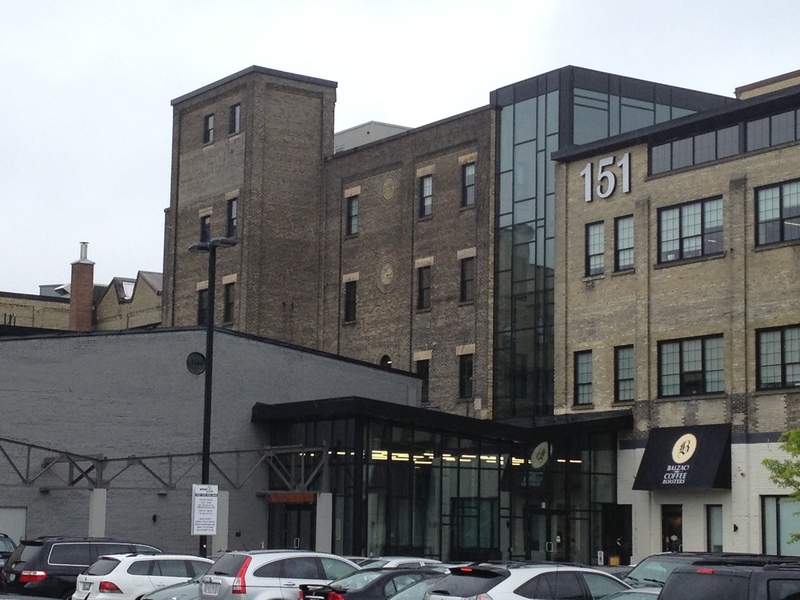 We walked around the Victoria Park neighbourhood, a place called TreeHaus and the Tannery District (pictured above) for examples of inventive co-working spaces and King Street to see creative uses of the downtown streets. On the second day I joined the walkabout of the Lang’s Farm Village community in Cambridge, visiting the Village Association Youth and Teen Centre and their brand new regional community health & wellness centre (pictured above). For the next three days I’ll share my thoughts and experiences from the event in a series of posts. I hope that I can convey the various elements of the gathering well, and take away from it some goals and actions we might be able to take in London to strengthen our communities both separately and united as parts of our great city!